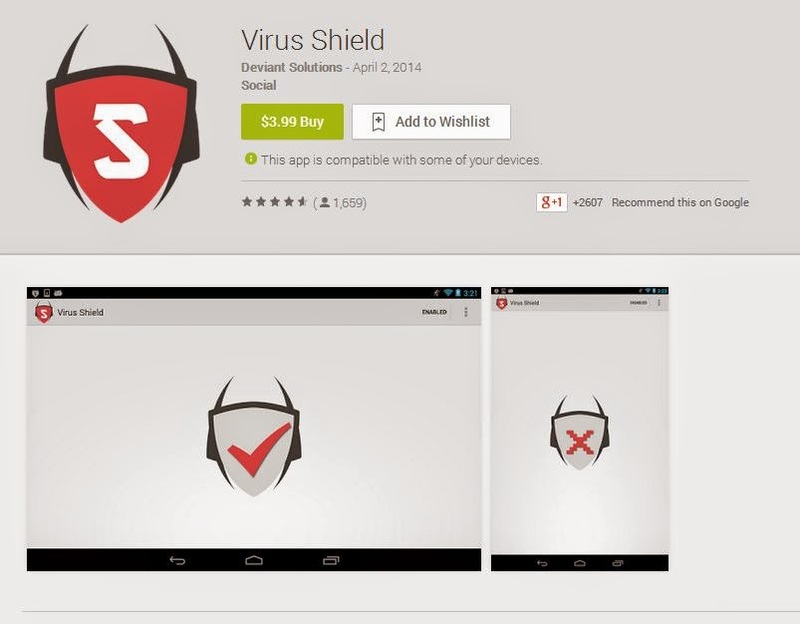 Virus Shield, the number one paid application on the Google Play Store, has been removed after it was revealed that the app actually did nothing to protect against viruses. Instead of protecting against malicious apps, Virus Shield simply made people think that their devices were not secure and then with one graphic, showed them that they were suddenly protected! The app, which cost $3.99, rose to the top of the Play Store after just one week of availability. With the illusion of security and an easy to use interface, what could go wrong? It may have been removed, and luckily Virus Shield did not actually ruin devices itself, but the app sheds light on a growing problem with Android. Malicious apps are abundant on third-party app stores and in some cases, they even make their way onto the Play Store. Unlike the iOS App Store, which is consistently monitored and scanned, people with an app that has already made its way onto the Play Store can update that app without anyone paying much attention. With just one update however, the code could be changed to infect devices. This is not possible with iOS, since updates are also scrutinized. In the case of Virus Shield, the app was actually benign and only included a small amount of code, yet it also shows that completely new apps can be listed without anyone from Google paying too much attention. The developers involved with Virus Shield just happened to do a few things right. Play on the fears of many people. As it appeared to be protecting devices, many people wanted to download it. [Speculation] Faked initial reviews in order to give the app a boost in the Play Store. According to Google’s official policies, people who paid for the application will technically be unable to get a refund. However, it is always possible that they could issue refunds. Question – Should people receive a refund if they bought Virus Shield? Summary: Google has removed a fake security application from the Play Store. The app was called Virus Shield. For $3.99, it convinced people that it was protecting their smartphone but wasn’t actually doing anything.